We are dependent on God to reveal his salvation to us because, (1) our reason is incapable of knowing an infinite God, (2) we are spiritually blind by nature, (3) we are under the power of Satan, (4) there is nothing in us that compels God to reveal himself to us. Paul states it like this to help clarify the point: “So then it does not depend on the man who wills or the man who runs, but on God who has mercy” (Rom 9:16). We just have to read Luther’s explanation to the Third Article of the Creed. 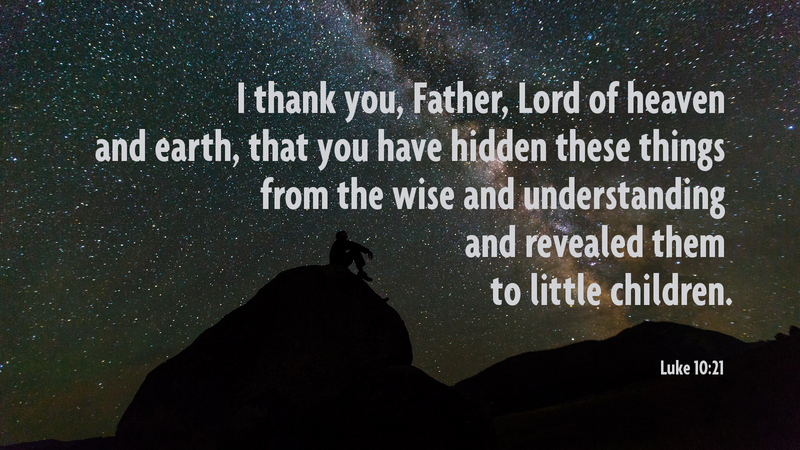 We fight this today because we have too high a view of humanity and we do not have a high enough view of God in his absolute holiness; therefore we humble ourselves before the God who revealed himself before us. Prayer: Triune God, we thank you that you chose us even when we deserved nothing from you, for showing us your mercy and grace in Jesus Christ, and for revealing yourself to us, setting us on the path to eternal life. Amen. Thank you for the availability of this reading online. I would like to learn of any NALC in Portland, Oregon metro area.